It's Summer and that means it's Seisiún time. 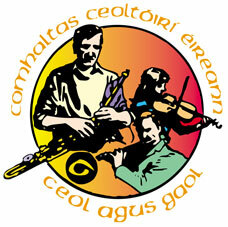 Each Summer Comhaltas Ceolteoirí Éireann supports Seisiúns all over the country. These evenings, which promise "Siamsaíocht Ghaelach Náisiúnta agus Ceol na nGael", run weekly throughout July and August. There are a number of quality seisiúns around Co Wexford. The Gorey Ballycanew branch hosts one at the Loch gCarman Arms Hotel, Gorey each Monday (8pm). The Danescastle branch hosts a seisiún at Loftus Hall on Tuesdays (8.30pm). Also on Tuesdays (8.30pm) the Community Centre, Bree has a very popular and well established seisiún anchored by Celtic Roots. Tel 087 7535354 for bookings. Fr Murphy branch hosts a Seisiún on Wednesday nights in the Fr Murphy centre, Boolavogue (9pm). Admission is usually around €5.